This is an impressive timepiece. 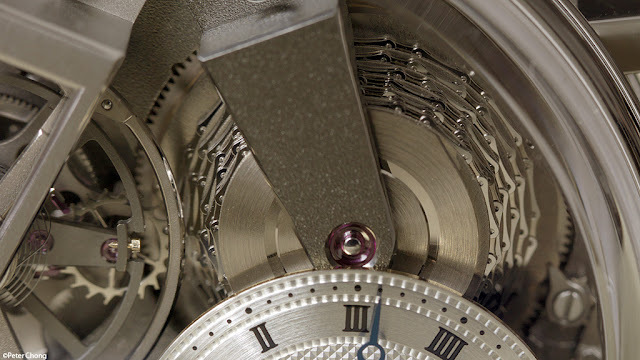 Breguet was able to maintain the typical elegance of Breguet watches while giving a touch of unique personality and innovation. 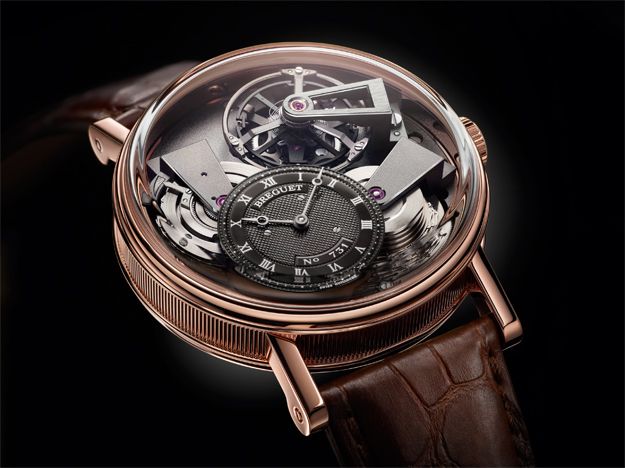 Breguet's Tradition Tourbillon Chaîne-Fusée is hypnotic: it is hard stopping to observe it through to the front and the back sapphire glasses. The off-centered dial is positioned at 7 o'clock leaving room to the Tourbillon at 1 o'clock. Its large bridge is made of Titanium just like the other bridges on the dial. A small indicator of the 50 hours power reserve is located on the barrel drum between 9 and 10 o'clock. 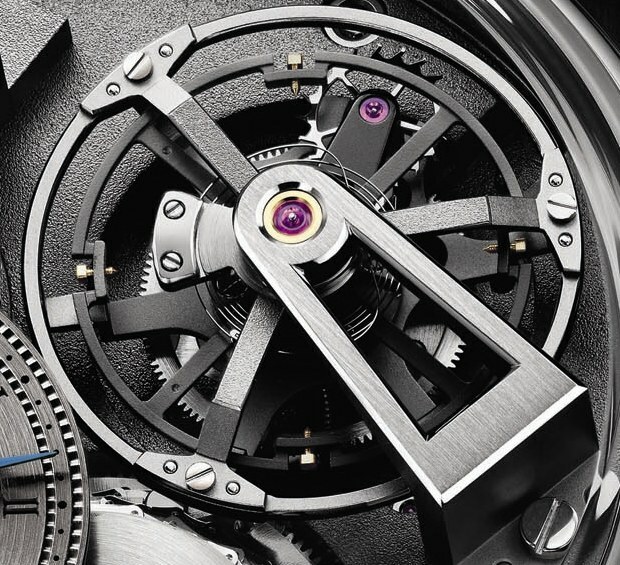 The constant torque is ensured throughout the running of the watch thanks to the fusee-and-chain transmission that you can notice in the detail picture below. The rose gold re-edition of the Tradition 7047PT also features a silicon Breguet balance spring, as well as a new black galvanic-coated and engine-turned 18k gold dial.